Some P.E.I. potato farmers are facing a serious infestation of wireworm and the only fix is about to be taken off the market. 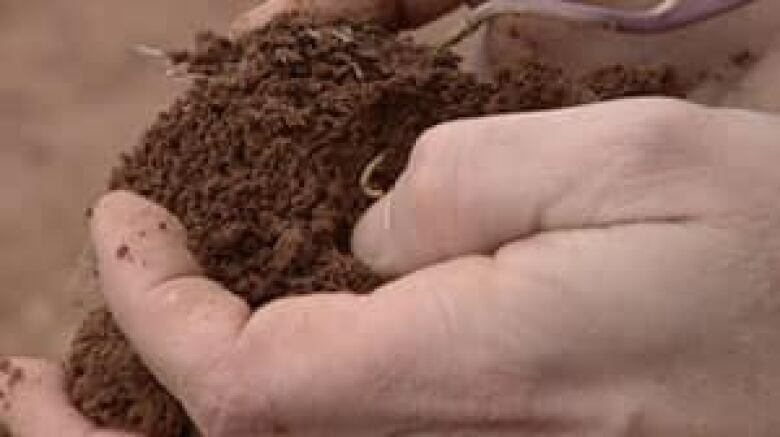 Wireworm is a pest that spends four years in the ground, feeding on potatoes and other vegetables. Then it turns into a click beetle and moves onto other fields. Wireworm can decimate a crop. Farmers use a pesticide called Thimet to fight the bug. But next year, the Health Canada Pest Management Regulatory Agency is phasing out the product. "It's supposed to come off registration next year. It's a class of chemicals they're phasing out," said Gary Linkletter, chair of the P.E.I. Potato Board. "And there's no replacement for it is the problem. So if Thimet goes, we have no replacement," Linkletter added. "There'll be a number of growers that will probably go out of business over it and certainly crop insurance claims will go through the roof." Linkletter is relieved wireworm hasn't been a problem in his potatoes yet. But he estimates close to 20 per cent of Island growers — many of them surrounding the Charlottetown area — are fighting the pest. He said it could spread across the Island. "Click beetles — they say if you find a thousand in a trap it's a bad infestation. We're finding up to 5,000 in some P.E.I. traps, so it's pretty severe," said Linkletter. The potato board wants the de-registering put off until another option can be found. And they want government to help fund more science. "It's going to take a lot of research, a lot of people working at it trying to think of novel ways of dealing with this," said Linkletter. "And this has to get going if we're going to avoid losing a lot of our growers here and elsewhere." Hans Wilting is taking part in a combined Cavendish Farms and Agriculture Canada trial of a pesticide that's registered for use in the U.S., but not in Canada. It's applied to wheat seeds, in an effort to kill wireworms. "This isn't potatoes, but if we can get rid of the pest in an alternative crop and even if we would sacrifice that crop and not use it for food or feed, then it would be much better than trying to fix the problem in the potatoes," said Wilting, who lost a lot of his potato crop in 2006. Just last year, wireworm was a $3 million problem in P.E.I. and he knows without Thimet, it would be just as bad this year. "We don't want to use it. There is no alternative for us now," said Wilting. "I see it as probably the single most, biggest threat to the potato industry right now.